Welcome to 2019! The new year has started and it is always the perfect time to reflect and plan for the coming year. Whether your resolution is to eat healthy and cook at home, de-stress by meditating and relaxing, get organized, or simply spend more time with family and friends, the environment you surround yourself in can make these goals and intentions more attainable. 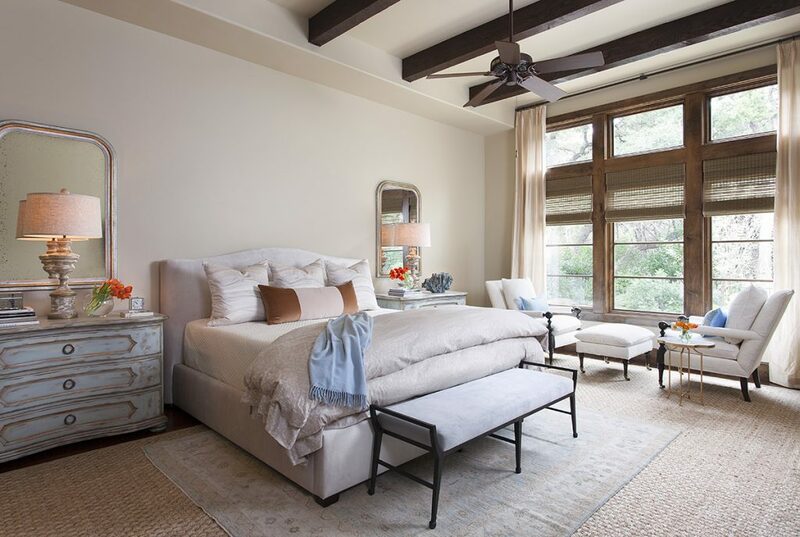 At Heather Scott Home & Design, our team is not only dedicated to making your home the beautiful place you want it to be, but we are also experts on creating serene environments that allow you to live your most fulfilling life. Time is a luxury and we know that you want to spend it on all of the people and things that matter to you the most. Our team makes the process of creating beautiful environments easy and worry-free. If you have a space that needs some extra attention, this is your year for a serene 2019. 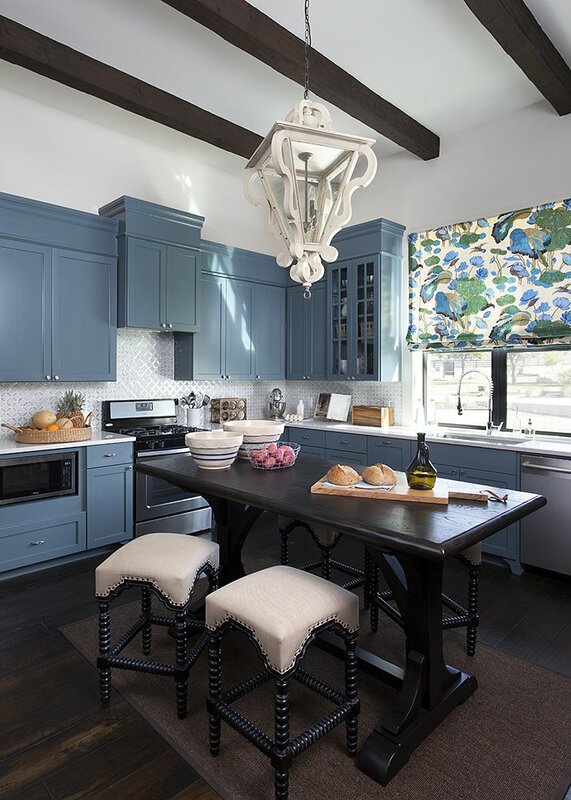 Here are some resolutions and intentions that pair with classic and timeless spaces. 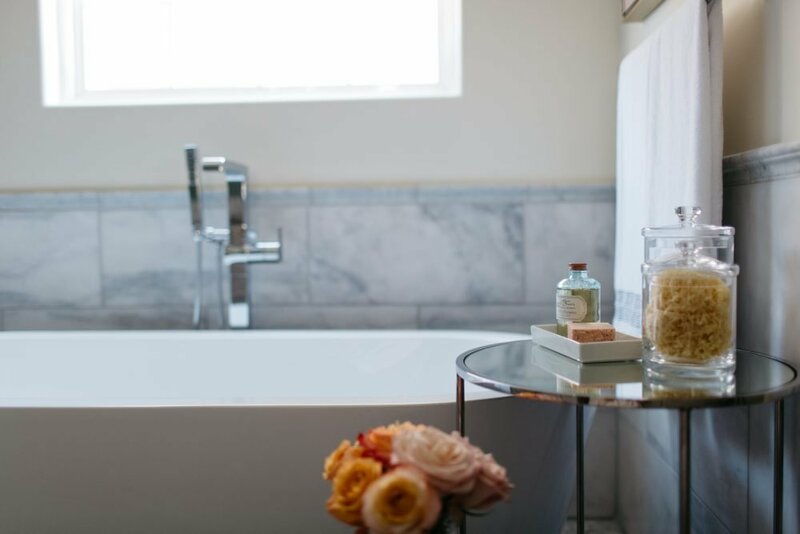 If your intention this year is to take more time to relax, meditate or simply treat yourself to more self-care rituals, a serene and classic bathroom is the perfect back-drop for a more serene 2019. A space for relaxing bubble baths or a space to unwind seems like the perfect environment for this goal. 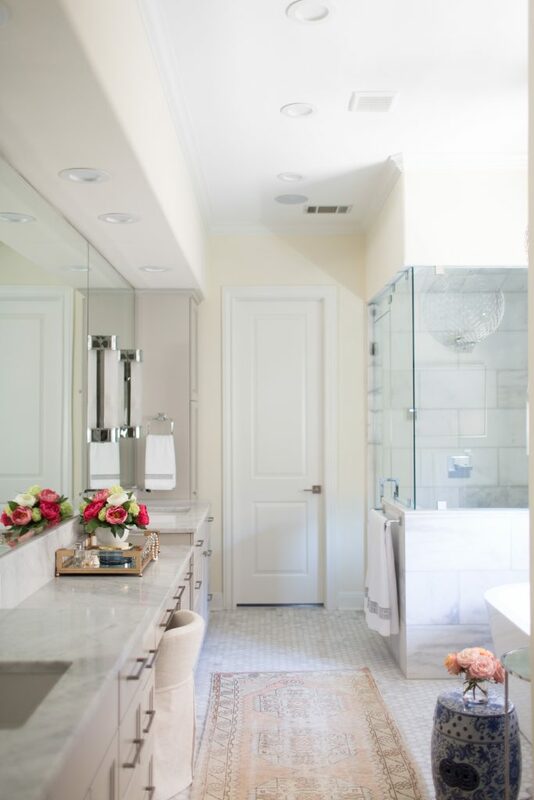 Let our team transform a dated bath to a spa-like experience every day. If your goal is relaxation, we can also create a serene bedroom oasis. A space like this can be your personal retreat and is a place to unwind each day. 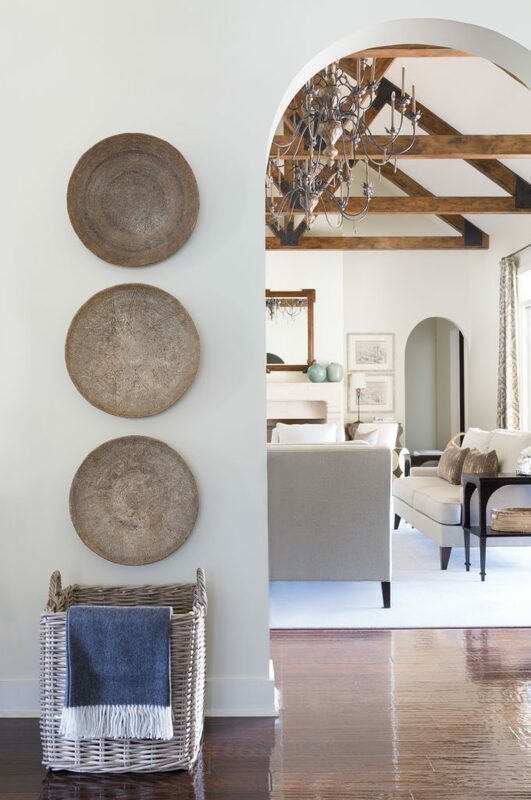 An inspired, calm space can make you feel less stressed and make each day begin and end on a high note. Spaces that feel like your own personal retreat is the ideal environment for your well-being. If you resolve to use this year to focus more on your health and overall wellness, this of course starts in the kitchen! An organized and functional kitchen would of course inspire you to spend more time preparing healthy meals. 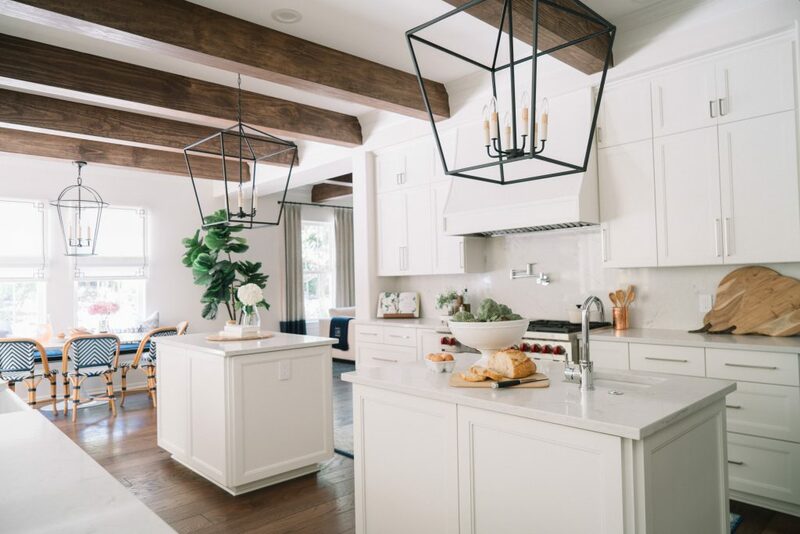 Whether your kitchen needs a major renovation or minor upgrades, a freshly updated space is an inspiring environment to spend your time creating healthy and delicious meals for you and your loved ones. If your resolution is to get organized this year, our team can upgrade your space to feel tidy and clutter-free. We will help you edit and tidy up your space so that it sparks joy. This of course is a phrase popularized by Marie Kondo, a Japanese decluttering guru. We featured her book The Life Changing Magic of Tidying Up a few years ago on the blog, but in case you missed it or need a refresh, here’s the blog about her book. Whether it be your office, playroom, mudroom or living space, with proper planning you can simplify a cluttered and disorganized room. 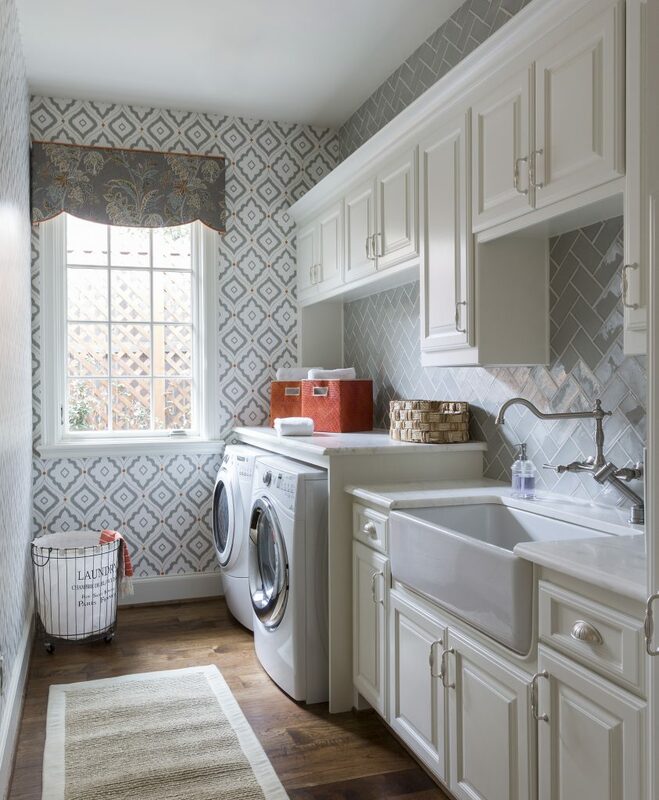 We can even make a task as ordinary as laundry spark more joy with an update to a laundry room like the one featured below. Now finally, if one of your goals for the year is to spend more time with family and friends then your home needs a comfortable gathering place to connect with the ones you love most. 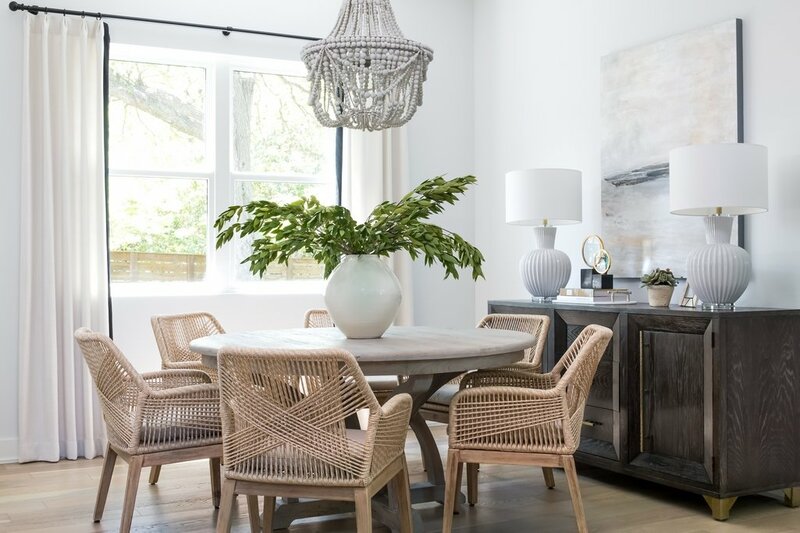 Whether it be a cozy family room to gather in or an updated dining room for dinner parties, our team can transform your gathering places into stylish and functional spaces. If you want a formal dining space or a more casual setting, Heather Scott Home & Design can help create a cozy and inviting environment. Improving your environment can help you make your 2019 intentions that much more attainable. If your home needs a refresh or if you are in the stages of building a new home, fill out our design questionnaire or give us a call. We would love to learn more about your project and goals. Cheers to 2019!